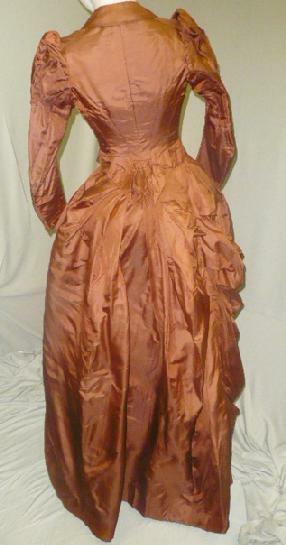 This auction is for a quite lovely original Victorian 1880s copper silk faille two piece dress /gown. 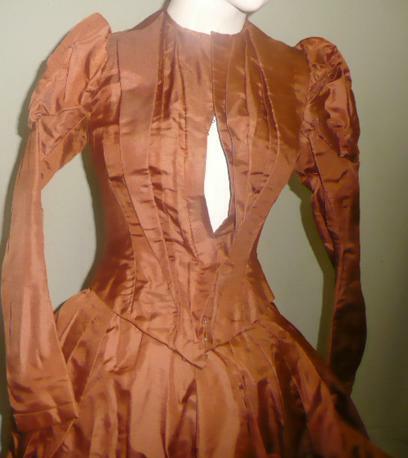 In the second photo, you will see the bodice doesnt close on my size 4 model. 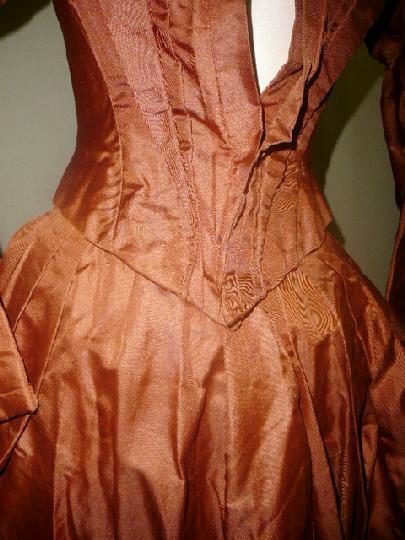 This cotton chintx lined 8 boned bodice is created with a tucked front along with a front hook eye closure. The long tapered sleeves have a delightful puffy cap while not having cuffs. 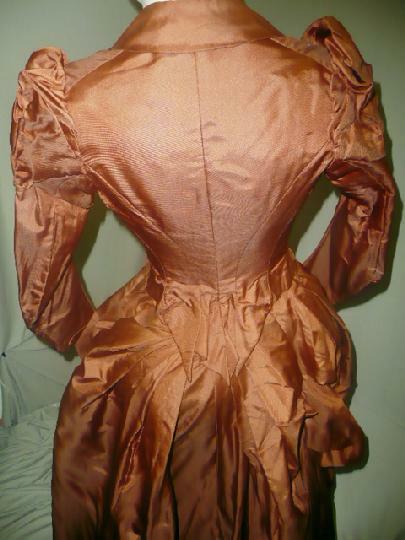 The waisted full bustle lined skirt is created with sides that have also a minimal bustle effect which are to accent the hips, the back has a short overskirt which gives the oppurtunity to create a much fuller bustle than I am showing. The front has long various size box pleats which creates the lovely draping effect. I tend to believe this ensemble, especially the bodice is closer to a size 1/2;Approx measurements are 30/31" bust, 22" waist, 17" mid shoulder to front V hem, and 46" top of waistband to hem. If you are looking to alter the bodice so that it has a larger bust, I would suggest using a lace bib or even use some of the excess fabric from the skirt. 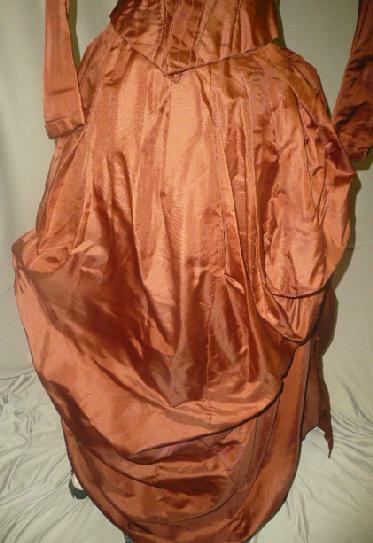 A wonderful ensemble that is in overall very good, sound and very clean condition. This is a simplet yet quite elegant and a perfect example of the latter mid Victorian era. 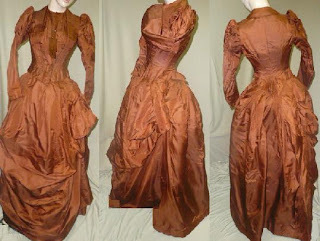 This may have been remade to fit a more 1890's silhouette but I think the dress is roughly from 1888, give or take a couple of years.